Nadia became a NYC Teaching Fellow to work in disadvantaged communities as a Special Education teacher and later joined New Leaders, a national leadership program for teachers. In 2010 she founded a new public district middle school, Mott Hall Bridges Academy, which is located in Brownsville, one of the poorest and most violent neighbourhoods in New York City. She wants her students to have the prospect of going to college and leading a rewarding career despite having grown up in this community. She has developed strategic partnerships with several high-profile universities and community-based organisations to better prepare her students for STEAM (science, technology, engineering, arts mathematics) focused careers. In addition, all students complete an entrepreneurship course to become financially literate and learn how to create a product and set up a business. To date there have been three graduating classes at a 98% graduation rate. Nadia has introduced professional development programs for her teachers and has created model classrooms to share best practice within her team and with visiting colleagues. The work of her school was covered in the NY Times, on the BBC and the Ellen Show, after she had been featured in the popular blog “Humans of New York” by her former student Vidal Chastanet, who highlighted Nadia as his greatest influence. 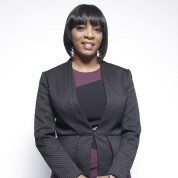 The recognition led to a visit to the White House to meet with President Barack Obama; hosting a principal forum on ‘Challenges of Leadership in Urban Education and the Impact it has on Student Achievement’, in collaboration with the US Department of Education; and a Target grant of $100,000 for technology. Join the #TeachersMatter movement by sharing Nadia Lopez’s update.